The third version of Rega’s classics is intended for a new generation of vinyl lovers. What impression will it have on older vinyl lovers? For many people from the analogue generation, Rega is a synonym for a good sound and solid hi-fi from a mid-size British manufacturer, the one that has given the most names and devices that have become history. Rega is best known for its good turntables, but its other devices – amplifiers and CD players – met the same expectations we have been accustomed to this brand in the middle of the seventies. At this time, the first model of the legendary turntable Planar 2 appeared, whose third generation we have the opportunity to test in this post. Rega is a turntable from whom you know exactly what you can expect, which that turntable fully provides. Planar 2 is located between models 1 and 3, where the only difference between second and third is at first glance a metal joint between the base of the tone arm and the platter axis on the higher model. In addition, Planar 3 has a better RB330 tone arm as well as the option of optional TT-PSU power supply for the motor. But, if viewed from the beginning of the models list, as the first model above the base, one could not say that it does not offer enough. 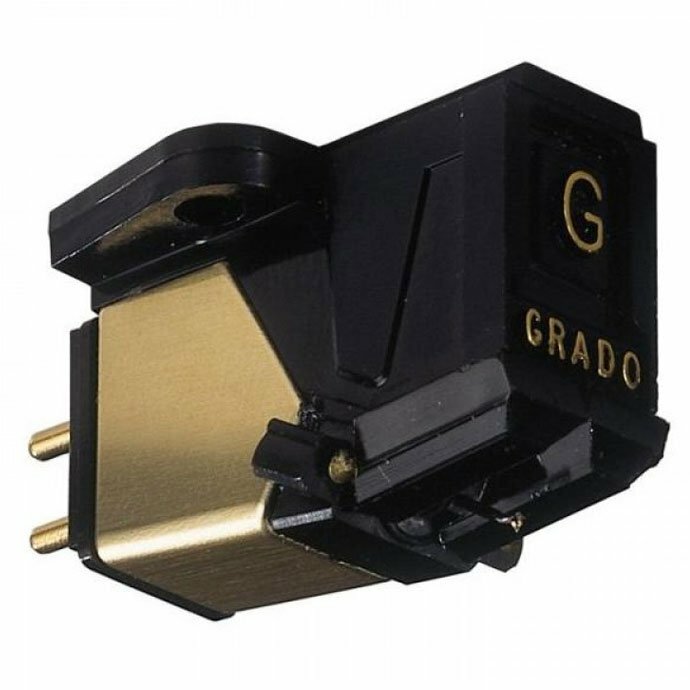 Planar 2 is, in fact, a set that makes the base, the tone arm and the cartridge a very good synergy. A new generation of wood base replaces acrylic sandwich in shiny black or white. You can read many discussions on web forums regarding inferior properties of the new material as compared to the wood or how it coloring the sound, the main lack of base is still a solid suspension, in fact the support on three rubber feet which, though increased and dampened, still require a well damped base so the turntable would be isolated from external vibrations; This is, however, a compromise in this class. The electronic speed control system and the 24-volt external power supply are integrated into the base with a switch underneath the lower edge to maintain a sleek design clean. Through a short belt, the engine is started over starts a full plastic pulley in a brass bearing, which holds a 10 mm thick glass platter. 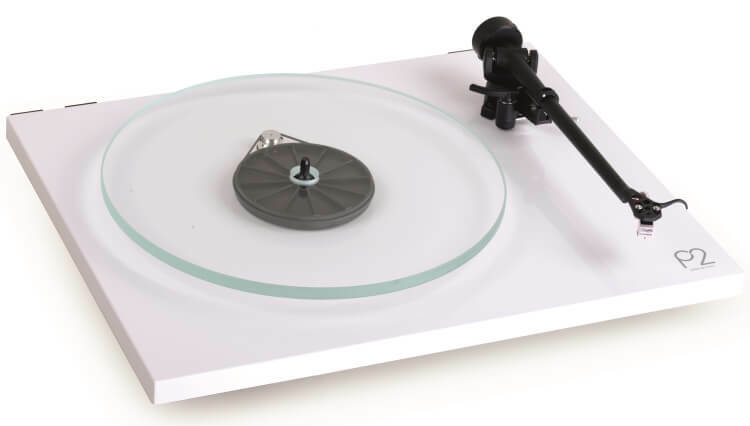 Although vry precisely made and perfectly flat (the plate is “sticking” when lifted), glass is an acoustic unusual material for a turntable, primarily because it “resonates” at the frequencies of the surrounding vibrations and then because of its different acoustic impedance from the vinyl, so it does not absorb enough resonance from the record itself – so the matched mat must be used. The advantage of a glass plate is its solid mass, which improves the stability of the speed and reduces the jolt coming from the engine. Shifting the speed is manually, via the motor belt, below the platter. And while in expensive turntables this kind of solution is a big flaw, in this class of turntable is quite acceptable, but, nevertheless, prepare the gloves to keep fingerprints off from the glass when removing the record. The RB220 also brings some innovations. On the track of the most successful models, the RB250 and RB300, this nine-inch model with an integrated shell and aluminum tone arm “seats” on a newly designed, low-friction, no tollerance bearing, as the manufacturer claims. The tone arm has an integrated clip and an automatic anti skating adjustment within the tone arm weight. Weight on the rear end of the tone arm does not have a scale as a better model, so when adjusting the weight the rule is “one circle – one gram” when the tone arm is adjusted to the position zero, and for the correct position of the weight we using the green dot on the circumference. As we expected, the RB220 does not have the option of adjusting the VTA angle, so switching to the second cartridge becomes a more complex than the ordinary replacement. 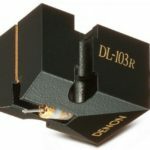 Carbon, the basic Rega’s MM cartridge, is a part of this set, with a 2.5-inch and replaceable needle outlet. The recommended mass is between two and three grams. Finally, there is also an acrylic cover, which is fixed to the two hinges on the back of the turntable base. The whole turntable weighs more than 10 pounds. If you are not satisfied with this basic package, you can get a Performance Pack, with MM cartridge Bias 2, an improved belt, as well as a wool mat. 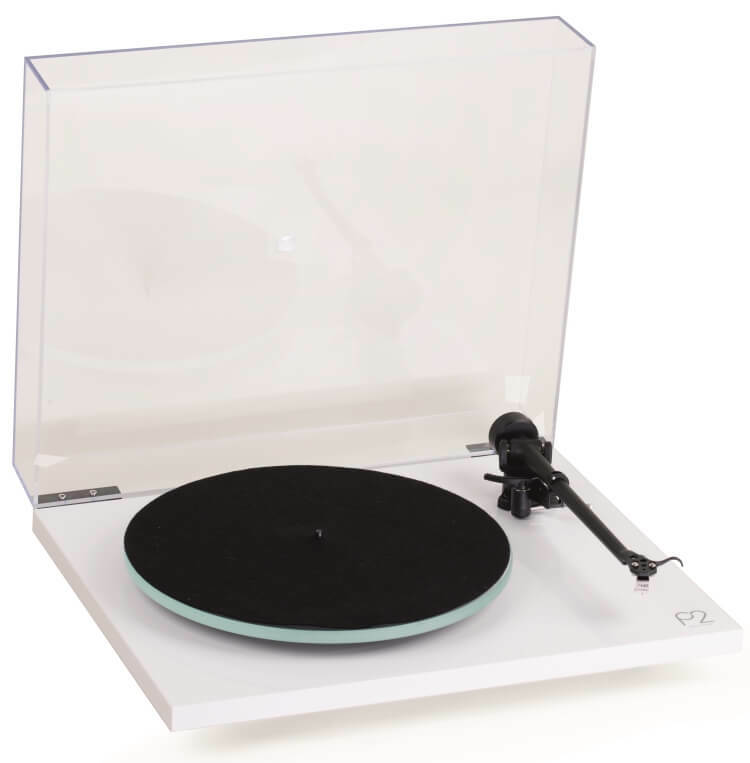 Planar 2 is a plug and play turntable: it is assembled in the factory and tuned almost ideal. 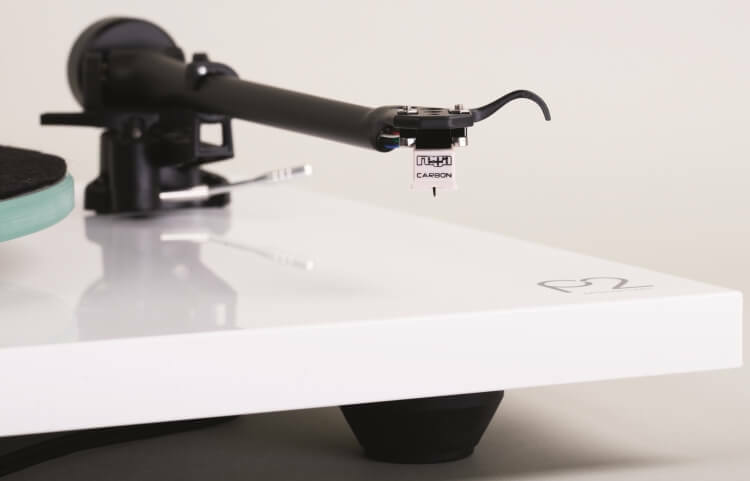 When we took it out of the box, we checked the geometry of the tone arm and the cartridge using the supplied protractor – deviation was minimal, so we still tune this up – while the perfect parallel of tone arm and the platter can admire every turntable lover. VTF has been subtracted to a mean value of 2.5 grams. Thus, in less than 15 minutes tunrtable is already been connected to the Micro iPhone 2 phono preamplifier in the A-class, where we set MM input to 100 picofarads and gain of 36 decibels. About the time when the original Planar 2 was born was the studio band Incredible Bongo Band was very popular. This instrumental group with prominent percussion and funky rhythms published his greatest hits “Bongo Rock” on vinyl in 2006. Processing “I Can Get No Satisfaction” with bongos in the foreground sounds rhythmic and great. The foot on the drum has a solid blow and a decency. Bas guitar prevails in numbers, but the cartridge does not lose control in the groove, the acoustic circuit with the base does not overplay the bass and very properly positioning the bongos in the space. Over the whole of this rhythm section are hit-hats and cymbals in a very fine upper range, which, though, is somewhat more clenched on the recording itself. The brass section and electrical organs in the middle range does not fight for the place in the foreground. All in all, on a dynamic material, there is no confusion in the picture, compression or loud noise, on the contrary, everything sounds clean and organized. Then we turned to the more demanding classical music, and the piano, the ultimate instrument for testing many audio components. We chose Beethoven’s Piano Concert no. 1 (E. Gilels, Cleveland Orchestra, Sel) on EMI’s 1968 recording. The concert, which begins quietly and gradually, reveals that Planar 2 is very quiet and does not enter the sound of its own rumble under the sound. As soon as the whole orchestra had caught up and go, we were re-introduced to this recognizable Rega’s sense of rhythm, albeit different from the previous record. The strings are fluid, with a discrete dose of grain. The color of the piano is solid, if not extraordinary, this instrument is good enough, but it is not uniform on a full scale, so the deep tones are sonorous than they should be, the most dirty ones have a mild hinky tonk blow but the middle part around who most music is playing is more than correct. In a slow approach, where different parts of the orchestra are permeated, Planar 2 shows a tendency to break fine details, individual instruments, as well as to hide a portion of the less engaged background in favor of the first plan. However, the total pleasure of listening of a classical music is very good. We did a hearing test also without a mat, with a record directly on the glass. As we mentioned at the beginning of the text, the record adhere really good for the surface, but, as expected, the sound changes. The details we have heard before have been lost; the stage was further clustered and dense, and the middle was slightly outgrowed in the front plan, the high range became thinner and elevated. It is not excluded that someone will enjoy such a quiet(even monotonous) sound. However, what is recommended in acrylic plattees is not the best solution here and it is better to keep the mat or even get one of the better quality. As we expected from Rega, Planar 2 is great for listening: one of those sources that at one point seem to say, “Listen to this now …” The sound of this turntable is dynamic, straightforward and honest, with a very good balance of the entire range. The main star of this turntable is, in fact, a tone arm. Rega’s tone arms have traditionally offered perhaps the best performance and price-performance ratio – the RB220 might not be at RB250 or 300 level, but certainly gives the main and recognizable sound mark of this brand. Planar 2 is not the champion of the finest detail (it would be really hard to find a turntable in a class just above to 600 $ that is competent) but without them it is a very complete turntable which, along with a full package with a tone arm and shell and because of its simplicity of installation and use, it is difficult to reach in its class. Very musical and lively, but decent and moderate. An excellent package of components in mutual synergy. Rigid suspension makes it more sensitive to the base type.